Join us for a fun family night at UCAN’s Summer Movie Nights! 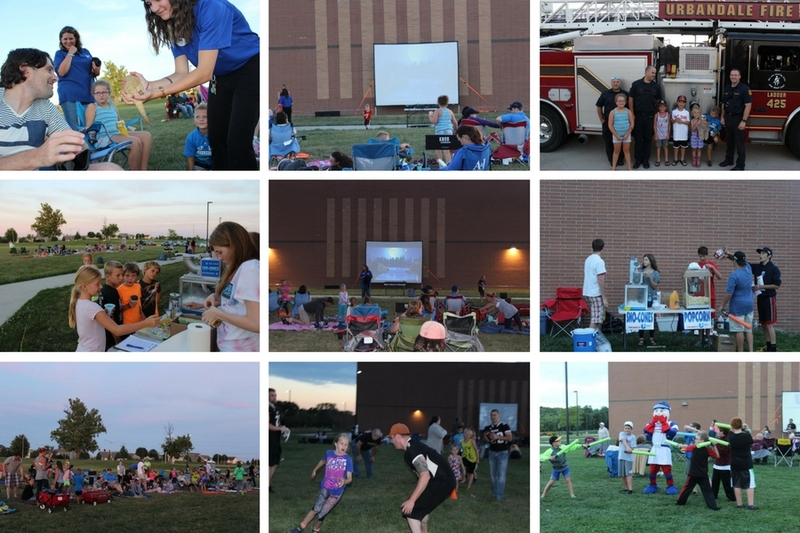 All movies are shown at Webster Elementary, located at 12955 Aurora Avenue in Urbandale. We have fun activities planned for each month starting at 7:00 pm and refreshments are available for small fee. The movie will start at approximately 8:30 pm and people are encouraged to bring blankets and lawn chairs. Movies will not take place in the event of rain. Please check our Facebook page for updates. Businesses and organizations are welcomed to sponsor, host activities or volunteer at Movie Nights. If you are interested, please email us at info@urbandalenetwork.org or call the office at (515) 278-3936. 2018 UCAN’s Movie Nights Schedule will be published soon, check back with us!